If you want to refurbish your home then substituting the old curtains of your doors and windows with roller blinds is an excellent option that you should consider. Roller blinds come in beautiful designs and colors that will improve the beauty of your room at home. Roller blinds are also a good option for offices that need privacy. However, that doesn't imply that roller blinds cannot be utilized for home decorations since roller blinds come in materials that are made from strengthened fabric that can give privacy even for home. Roller blinds that are manufactured from light material and do not give too much privacy can also be utilized at home for rooms such as the kitchen and dining hall. They are particularly good in the kitchen since they not only add beauty to the kitchen but are similarly practical because they can filter smoke and light from the kitchen. 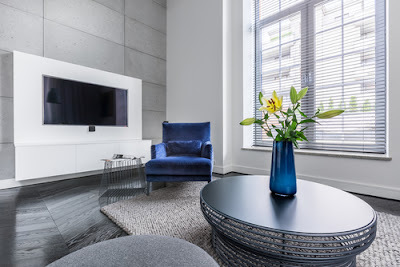 Utilizing roller in the living room is an excellent option since they can be used not only for decorative value but they can also regulate noise from entering the room. If you are tired of your old roller blinds but do not have enough money to buy ones, you could simply decorate your roller blinds and make them look stylish and brand new. When remodeling a home, people usually pay attention to changing the color of the walls or rearranging the furniture, completely neglecting the look of their windows. However, simply think of how many times during the day you look out the window and you will get the idea why changing your window treatments can be an important part of a remodeling project within your home. Now, if you are pleased with the blinds you already have, but simply want to refresh their look, there are a few things you can do to redecorate your roller blinds. 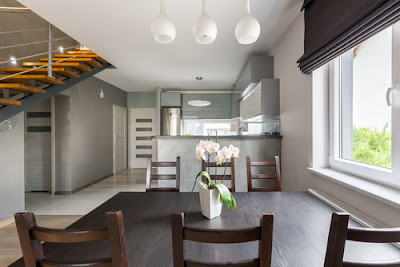 Before starting the remodeling task, you'll need to make sure that the blinds are properly dusted and cleaned since you do not want anything to get in the way of your creativity. Collect the dust using a feather duster or a vacuum cleaner and use some water and a clean sponge to wipe the blind. Since you are already detaching the blind, you could wash it more thoroughly by soaking it in a bathtub. The first option in decorating your roller blinds is by attaching a piece of fabric onto its surface. The procedure is pretty simple. You will need to measure the blind in order to determine the size of the fabric you will be later gluing onto the blind. The fabric should be a few inches wider on all sides than the blind, not only to minimize the chance for measurement error but to also ease the gluing process. Now choose the fabric. You can opt for some natural or synthetic materials, single-colored or patterned, it is entirely up to you. However, better opt for some light materials like cotton rather than heavy ones like wool or velvet, since these may affect your blinds functionality. The next step includes sticking the fabric onto the blind. Use spray glue or glue gun to apply the glue evenly across the blind surface. Start attaching the fabric from top to bottom, making sure that there are no creases or bubbles. When you are done you could wrap the extra fabric around the blind and glue it on the back or simply cut it off. When your renovated roller blind has finished to dry up, then you can add the polish. To correctly seal the blind, add some white glue over the fabric which will prevent it from fraying. If you do not plan on rolling the blind up and down too often a matte sealant along the edges will do the trick. 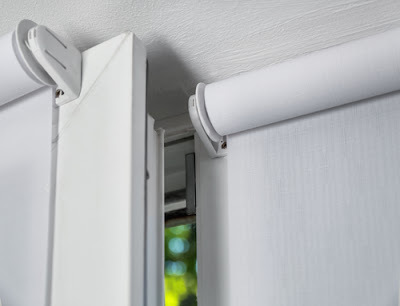 After everything has completely dried, your roller blind is ready to go back up. Now, if you have some spare time on your hands, you could make the things even more interesting by adding some color to your blinds. Not to worry, since this is not too complicated but involves a bit more creativity and imagination. Prepare some water, some fabric paint, and a few sponges. For more simple shapes, use regular sponges (square, circle) but if you want to take your roller blind decoration a step further, purchase some sponges in different shapes like flowers, animals, fruits or simply make some on your own. You could probably do this while the blind is still hanging, but we would suggest you take it down to make your work smoother. Dip the sponge into some previously determined color and swiftly press it onto the blind surface. Make sure you apply enough color since you do not want your bunny shape to turn into nothing more than a smudge. Repeat the process as many time you like, changing the colors and shapes and leave it to dry. Roller blinds are good for interior decors. It gives a beautiful look to your room and office. These roller blinds are prime for providing privacy and security from undesired outside sound. Taking good maintenance of blinds is very much crucial. you should clean these blinds with a damp cloth and see the wonder. Some roller comes with sunscreen option so you can enjoy the outside view and still maintain your privacy. Roller blinds are also lightweight so are easy to remove and install them with ease and most roller blinds are moderately priced so they are cost effective.